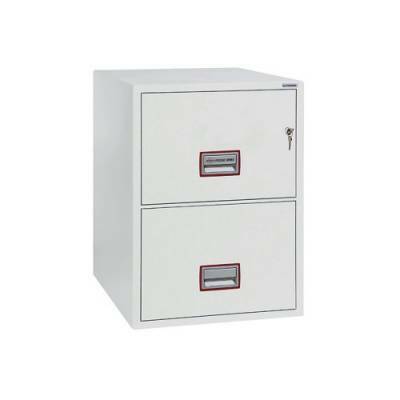 Phoenix White 2 Drawer 90 Minute Fire Rated Filing Cabinet FS2252K Pack of 1 Two drawer fire file protects contents from fire at temperatures up to 927 degrees for 90 minutes. Auto locking system in case of an emergency. Two precision pin tumbler key locks. W525 x D675 x H720mm. 140kg. Non returnable. 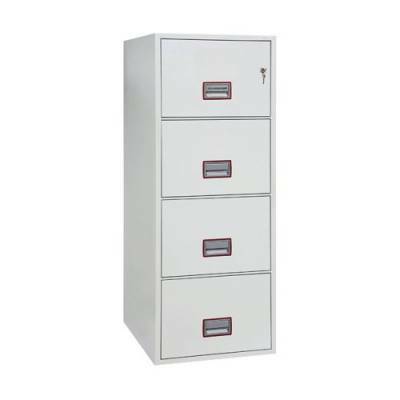 Phoenix White 4 Drawer 90 Minute Fire Rated Filing Cabinet FS2254K Pack of 1 4 drawer fire file protects contents from fire at temperatures up to 927 degress for 90 minutes. Auto locking system in case of an emergency. Two precision pin tumbler key locks. W525 x D675 x H1405mm. 266kg. Non returnable. 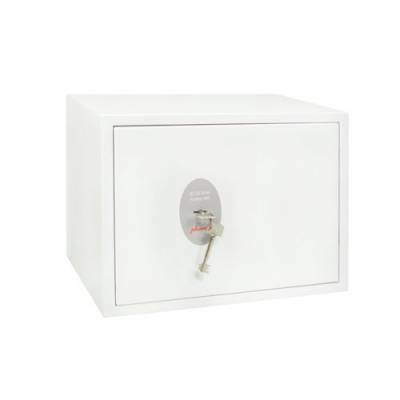 Phoenix Fortress White High Security Burglary Safe SS1181K Pack of 1 Protects up to ?4,000 cash and ?40,000 valuables. key lock with 2 keys supplied. Can be fixed to wood, concrete or asphalt floors. 30 minute fire resistance. External dimensions: 220 x 350 x 300mm. Non returnable. 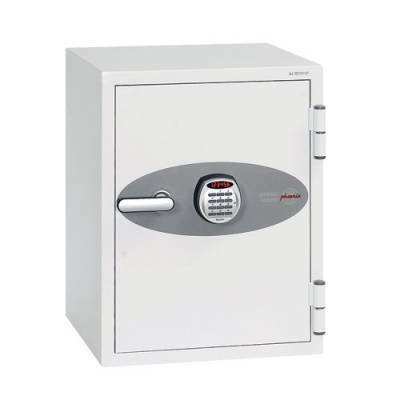 Phoenix Fortress White High Security Burglary Safe SS1182K Pack of 1 Protects up to ?4,000 cash and ?40,000 valuables. key lock with 2 keys supplied. Can be fixed to wood, concrete or asphalt floors. 30 minute fire resistance. External dimensions: 350 x 450 x 350mm. Non returnable. 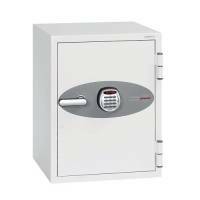 Phoenix Fortress White Fortress High Security Burglary Safe SS1183K Pack of 1 Protects up to ?4,000 cash and ?40,000 valuables. key lock with 2 keys supplied. Can be fixed to wood, concrete or asphalt floors. 30 minute fire resistance. 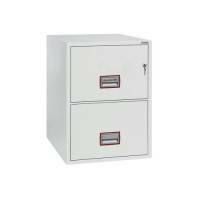 External dimensions: 550 x 450 x 350mm. Non returnable. 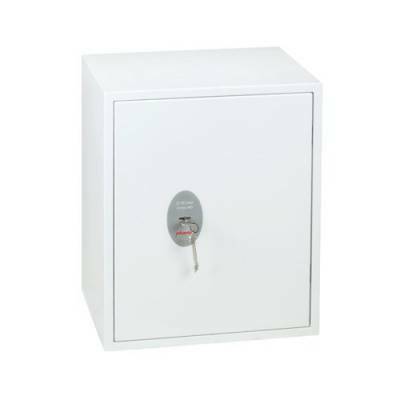 Phoenix White Fire Ranger Cabinet Size 1 Key Lock FS1511K Pack of 1 Provides 30 minutes fire protection for paper records at 500 degrees. 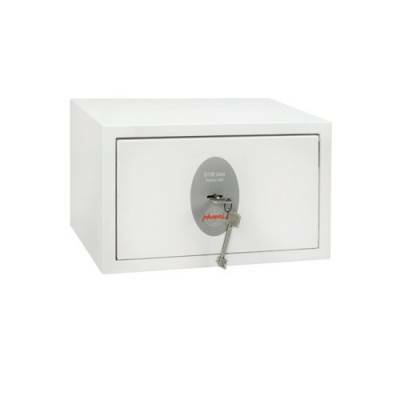 Recommended for overnight cash cover of ?1,500 or ?15,000 valuables. Double bitted VDS class 1 key lock. External dimensions: H1220 x W600 x D520mm. Non returnable. 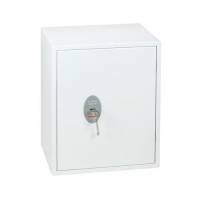 Phoenix White Fire Ranger Cabinet Size 2 Key Lock FS1512K Pack of 1 Provides 30 minutes fire protection for paper records at 500 degrees. 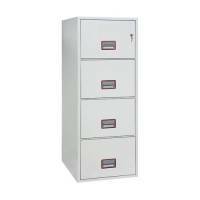 Recommended for overnight cash cover of ?1,500 or ?15,000 valuables. Double bitted VDS class 1 key lock. External dimensions: H1220 x W930 x D520mm. Non returnable. 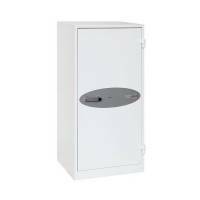 Phoenix White Fire Ranger Cabinet Size 3 Key Lock FS1513K Pack of 1 Provides 30 minutes fire protection for paper records at 500 degrees. Recommended for overnight cash cover of ?1,500 or ?15,000 valuables. Double bitted VDS class 1 key lock. External dimensions: H1950 x W930 x D520mm. Non returnable. 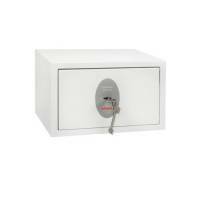 Phoenix Data Combi Safe DS2501E Pack of 1 External dimensions: H700x. 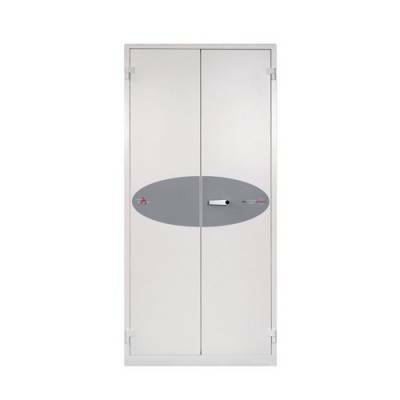 W500xD500mm, Internal dimensions: H510xW380xD330mm, Door swing: 490mm, Weight: 121kg (266lbs) Total internal volume: 64ltr Data box volume: 6.45ltr. Non returnable. 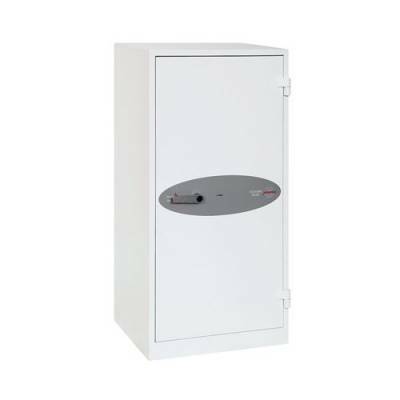 Phoenix Data Combi Safe DS2502E Pack of 1 External dimensions: H880x. 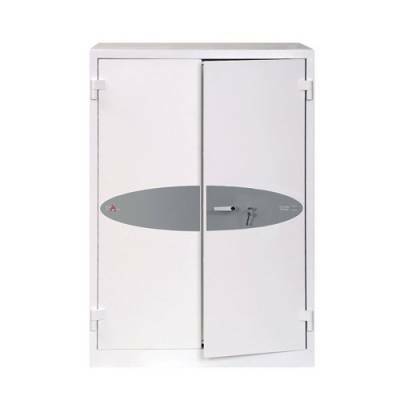 W520xD520mm, Internal dimensions: H675xW380xD330mm, Door swing:490mm, Weight: 157kg (345lbs) Total internal volume: 85ltr Data box volume: 6.45ltr. Non returnable.